Participants and guests of the conference can expect informative industry sessions and workshops related to new opportunities and struggles along the PMA path, new and expanding markets for PMA, the financial future of PMA and so much more! You can find the STS Aviation Group team at their assigned tabletops. Key members from STS Component Solutions will be on site to discuss all of your PMA inquires and requirements. 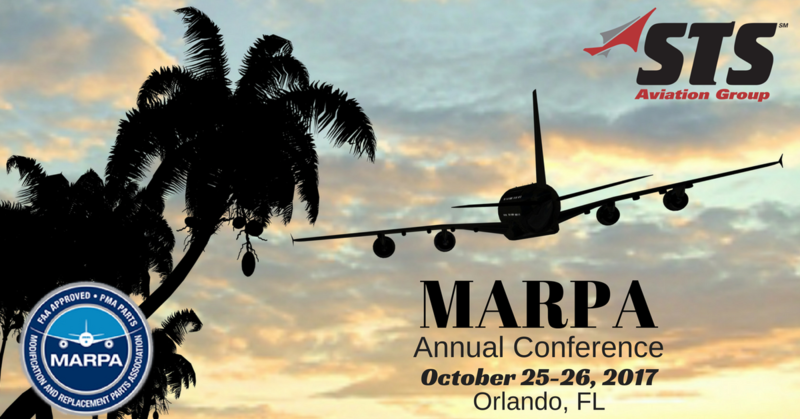 STS looks forward to once again being a part of the MARPA Annual Conference where airlines, suppliers, manufacturers, MROs and other aviation industry experts can connect and make valuable advancements within the PMA industry. Remember to fly by the STS Tabletops and meet the team. We really look forward to seeing you in Orlando!